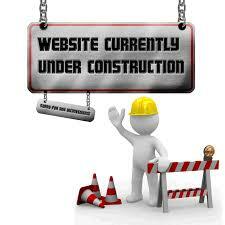 If you need help accessing our site, please add a “comment” to any post below. We’ll read it; and respond asap. Hello; I’m Jonah Steinhaus, a clinical sociologist and psychotherapist, & editor here at League of the Grey. I blog about the concerns of the aging population, with a focus on research, treatment, and advocacy. After graduating from of the City University of New York, his post-graduate interests led him to the work of Kurt Lewin and other group dynamists, and then to professional training as a family therapist. He is a California licensed Marriage and Family Therapist (MFT #7300). He was a counselor on the staff of New York Institute of Technology, Old Westbury, N.Y. After moving to Los Angeles in 1970, he became campus director of Hillel Foundation at Los Angeles City College. During the next decade, he worked at The Jewish Federation of Greater Los Angeles, where he created Project G.E.L.T., a job opportunity program for teen-agers; a program that still exists today. He was one of the first to use computer-assisted educational systems and was a director on the board of Eureka: The California Computer Career Guidance System. He was the director of The Southern California Psychotherapy Affiliation. He was awarded a grant from Educational Commission for Foreign Medical Graduates to help develop American job skills training and ESL programs for doctors. He spent several additional years training at The Gestalt Therapy Institute of Los Angeles , after which, in 1980, he opened his own private practice, with offices in Beverly Hills and San Dimas, CA. He has staffed at Glendale Memorial Medical Center, Glendale, CA; and Queen of the Valley Hospital, West Covina, CA. He has also been an instructor at University of La Verne, La Verne, CA., and a contributor to The PLATO Society of Los Angeles. Current professional interests include social gerontology, sociology of aging, narrative gerontology, and the psycho~social aspects of aging. In the current political climate, how can there be intelligent debate? How To Responsibly Talk About Mental Health in Politics? & Is The President a Psychopath? American Bar Association: Health Care Planning Informed reflection between you and your decision-makers before a crisis.